In a bowl, mix the orange, lemon and lime juices and pressed garlic cloves. Stir in agave nectar, salt and pepper to taste. Whisk marinade with fork. 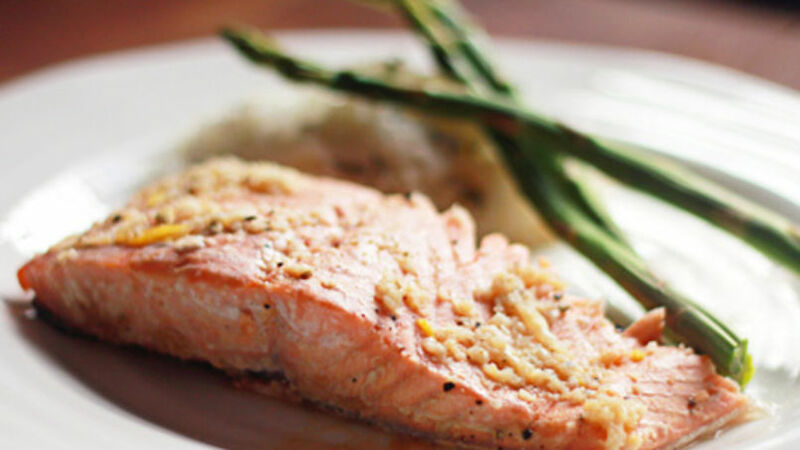 In a glass baking dish, arrange salmon filet. Pour marinade over salmon; turn salmon over gently in the marinade to cover all sides. Bake salmon for 20 to 30 minutes, depending on thickness of salmon or until a fork inserted on fish flakes salmon easily. Don’t have agave nectar? Honey or syrup will work as well! Americans love salmon and Cubans love citrus. That means in our house, Citrus Salmon is the perfect combination of two wonderful cultures. This citrus salmon recipe is refreshing and harks back to the island fare my family is used to enjoying. I like to serve it with cilantro and citrus rice, with a side of steamed asparagus. This delicious meal is sure to become a family favorite.